If you're an American, you probably store eggs in the refrigerator – and wouldn't think of doing it any other way. Yet, the US is one of the only countries where chicken eggs are kept refrigerated. In much of Europe, for instance, eggs are often stored right on the counter, at room temperature. But then, US eggs would be illegal in Europe due to an egg-washing process that may actually make them more susceptible to contamination with bacteria like Salmonella. If an egg is infected with salmonella, the bacteria will multiply more quickly if the egg is stored at room temperature instead of in the refrigerator, particularly if they're stored for longer than 21 days. (1) This is why, in the US, public health agencies advise keeping your eggs in the fridge. And the truth is, the way most eggs are raised in the US – in industrial concentrated animal feeding operations or CAFOs – the risk of salmonella contamination rises. In CAFOs, egg-laying hens are often crammed into tiny quarters with less space to stand upon than the computer screen you are looking at. Disease is rampant, and the birds ARE filthy — not because of their nature, but because we have removed them from their natural habitat and compromised their innate resistance to disease. Eggs from such large flocks (30,000 birds or more… and some actually house millions of hens) and eggs from caged hens have many times more salmonella bacteria than eggs from smaller flocks, organically fed and free-ranging flocks. They're also more likely to be antibiotic-resistant strains, due to the flock's routine exposure to such drugs. It is because of these disease-promoting practices that the US also employs egg washing – a technique that's actually banned in Europe. Why Are American Eggs Washed, When Egg Washing Is Banned in Much of Europe? When you have eggs from tens of thousands of chickens – or more — all under one roof, there's a good chance they're going to get feces and other contaminants on them. The US solution, rather than reducing the size of the flocks and ensuring better sanitation and access to the outdoors, is to wash the eggs. But this isn't as innocuous as it sounds. As the eggs are scrubbed, rinsed, dried, and spritzed with a chlorine mist, its protective cuticle may be compromised. This is a natural barrier that comes from the mother hen that lays the egg, and it acts as a shield against bacteria. In the US, of course, you'd have no way of knowing whether your bright-white grocery-store eggs were covered in filth before they arrived in your kitchen. Plus, about 10 percent of US eggs are treated with mineral or vegetable oil, basically as a way to “replace” the protective cuticle that's just been washed off. Unfortunately, since an eggshell contains approximately 7,500 pores or openings, once the natural cuticle has been removed what's put ON your egg goes INTO your egg. Meaning, whatever the eggshell comes into contact with can cross over this semi-permeable membrane and end up in your scrambled eggs, from chlorine to mineral oil to dish soap — to salmonella. So, despite what you may have heard, eggs that are fresh and have an intact cuticle do not need to be refrigerated, as long as you are going to consume them within a relatively short period of time. In the US, refrigeration of eggs became the cultural norm when mass production caused eggs to travel long distances and sit in storage for weeks to months before arriving at your superstore. The general lack of cleanliness of CAFOs has increased the likelihood that your eggs have come into contact with pathogens, amplifying the need for disinfection and refrigeration. Eggs purchased from grocery stores are typically already three weeks old, or older. 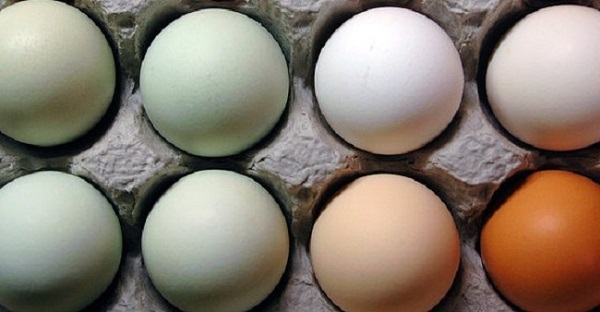 USDA-certified eggs must have a pack date on the carton, and a sell-by date. Realize that the eggs were often laid many days prior to the pack date. Most grocery-store eggs in the US should not be left unrefrigerated because they've had their cuticles essentially washed off. If your eggs are fresh from the organic farm, with intact cuticles, and will be consumed within a few days, you can simply leave them on the counter or in a cool cupboard. Are US Organic Eggs Washed? Organic flocks are typically much smaller than the massive commercial flocks (typically by an order or two of magnitude) where bacteria flourish, which is part of the reason why eggs from truly organic free-range chickens are FAR less likely to contain dangerous bacteria such as salmonella. Their nutrient content is also much higher than commercially raised eggs, which is most likely the result of the differences in diet between organic free ranging, pastured hens and commercially farmed hens. As far as washing, detergents and other chemicals used for “wet cleaning” organic eggs must either be non-synthetic or among the allowed synthetics on the National List of allowed non-agricultural substances, which can include chlorine, ozone, hydrogen peroxide, vinegar, and others. Some farmers report rinsing eggs very quickly in water, just to dislodge any debris, and believe this is adequate. Others use a dry brushing process — no liquids at all — just a brush, sandpaper, or a loofah sponge. Since most organic egg producers are typically interested in producing high-quality eggs, many of them—especially small, local farming operations—have implemented gentle washing methods that don't compromise the cuticle. However, you certainly can't tell by looking at them what type of washing process they may have gone through. The only way to know if your eggs have been washed or oiled (and using what agents) is to ask the producer — and the only way to do that is to buy from small local farmers you have direct contact with. The key here is to buy your eggs locally; this is typically even preferable to organic eggs from the grocery store. About the only time I purchase eggs from the store is when I am travelling or for some reason I miss my local egg pickup. Finding high-quality organic eggs locally is getting easier, as virtually every rural area has individuals with chickens. If you live in an urban area, visiting the local health food stores is typically the quickest route to finding the high quality local egg sources. Farmers markets and food coops are another great way to meet the people who produce your food. With face-to-face contact, you can get your questions answered and know exactly what you're buying. Better yet, visit the farm — ask for a tour. If they have nothing to hide, they should be eager to show you their operation. As for how to eat your eggs for optimal health, ideally the yolks should be consumed raw, as the heat will damage many of the highly perishable nutrients in the yolk. Additionally, the cholesterol in the yolk can be oxidized with high temperatures, especially when it is in contact with the iron present in the whites and cooked, as in scrambled eggs, and such oxidation contributes to chronic inflammation in your body. 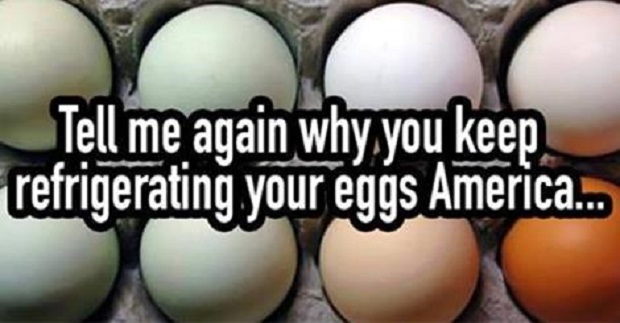 However, if you're eating raw eggs, they MUST be organic pastured eggs. You do not want to consume conventionally raised eggs raw, as they're much more likely to be contaminated with pathogens. The next best option to raw is to eat them soft-boiled or gently cooked “sunny side up” with very runny yolks. One final caveat: I would strongly encourage you to avoid all omega-3 eggs, as they typically come from chickens that are fed poor-quality sources of omega-3 fats that are already oxidized. Omega-3 eggs are also more likely to perish faster than non-omega-3 eggs. USDA to Allow Chickens From U.S. to Be Shipped to China for Processing and Back to U.S.